Many people in and around Chattanooga enjoy operating their motorcycles. And it's important to remember that motorcyclists have the same right to the road as any other lawfully licensed vehicle operators. However, our motorcycle accident lawyer knows that too many law-abiding motorcyclists are hurt in accidents caused by another driver's misconduct. Tragically, these motorcycle accidents almost always result in catastrophic injuries, and the expense in treating them is staggering. But in these dark days, when you're trying to recover from a serious motorcycle accident, remember our firm. We help victims like you pursue the justice and compensation you deserve. If you've been injured in a motorcycle accident in the Chattanooga, Tennessee area, our lawyer can help. Please call Herbert Thornbury, Attorney at Law today at 423-443-3973 for a free consultation. Every motorcycle accident is unique, and Mr. Thornbury works hard to conduct a thorough investigation into your accident so he can determine – and ultimately prove – its cause and pinpoint liability. Mr. Thornbury has decades of experience in these cases, and he's seen a lot of motorcycle accidents. This means he's intimately familiar with the causes of these devastating wrecks. The tragic reality of operating a motorcycle is that you can do everything right and still find yourself in a terrible wreck. 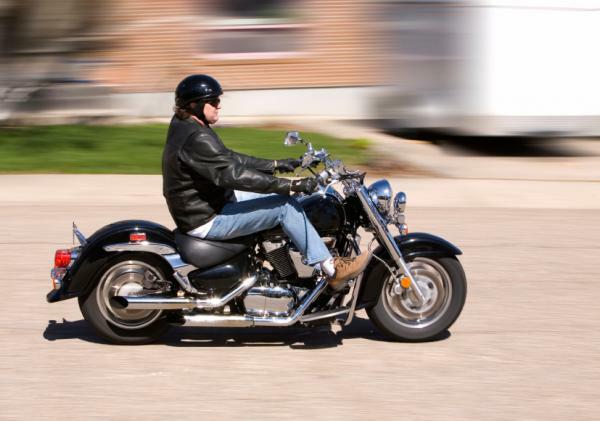 Motorcycles are simply more vulnerable on the road, and motorcyclists are at a greater danger of catastrophic injuries. Of course, there are no guarantees on the road. In the event of a devastating accident, you should call our firm immediately. We'll arrange a free initial consultation so you can discuss your case, get your motorcycle accident questions answered and decide if pursuing compensation in a personal injury lawsuit is the appropriate course of action for you. If you need an experienced, capable motorcycle accident lawyer in the Chattanooga, Tennessee area, please call Herbert Thornbury, Attorney at Law today at 423-443-3973 for a free consultation.